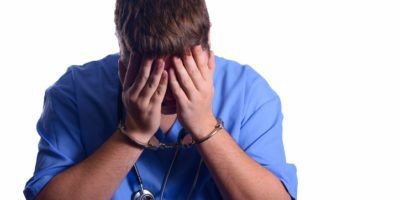 If you are a California licensed professional who has been accused, charged with, or convicted of a criminal charge you need to be very clear about the impact this will have on your professional license. Your situation requires the immediate consultation with a licensing attorney, either one who also has criminal law experience (preferably) or in conjunction with your criminal attorney. Depending on the circumstances of your criminal case and your professional practice area, the background of the licensing attorney you hire can make a significant difference to the outcome of your licensing case. The speed at which criminal allegations are communicated to licensing boards has been dramatically reduced in the 21st century. This places many more licensed professionals at risk since these criminal convictions (and even accusations) must be disclosed to a professional’s licensing authority. Licensing cases which result from automatic reporting via the internet of criminal accusations against a professional to a licensing board frequently create hybrid licensing-criminal cases for the accused. Leveraging the experience of an attorney who has an understanding about how your criminal case impacts your licensing case in these types of hybrid situations is paramount since unlike in a criminal proceeding, where if you are arrested you are deemed innocent until proven guilty, in a licensing accusation, if you are just arrested for a crime, you will be asked to immediately explain your arrest to your state licensing board. The type of attorney that you hire can make all the difference. For example, if you hire a licensing attorney who practices administrative law but not criminal law, they may advise you to rapidly respond to the licensing board by explaining your arrest. Alternatively, if you hire a criminal attorney who is not familiar with licensing law, they may recommend that you remain silent on the subject of your arrest by invoking your 5th amendment rights in order not to incriminate yourself with respect to your criminal case. Neither of these paths is actually the optimal outcome. 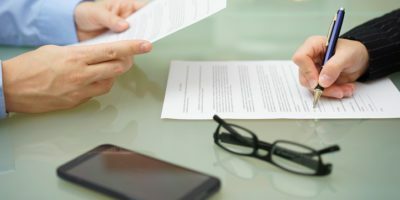 An administrative lawyer who might be able to assist you with the licensing board complaint is not able to protect your rights in criminal court and a criminal defense attorney may suggest that you settle your criminal case without realizing that this can negatively impact the outcome of your licensing case. Criminal attorneys might also suggest that you agree to go through a criminal diversion program to get your criminal charges dropped but, importantly, this is not the same as a criminal dismissal of your charges to a state licensing board. Again, negative repercussions could flow from this in terms of the outcome of your licensing case. The optimal strategy for you is to hire an attorney who understands both licensing law and criminal law. Lucy McAllister is just that, an experienced defense attorney with 30+ years spent as a practicing criminal and licensing attorney and who has additional experience on the bench as a judge. Her extensive trial experience (over 250 Superior Court trials) gives her unique insights into the complexities of licensing complaints triggered by criminal allegations. If you have a California professional with a hybrid licensing law and criminal law situation, call the law offices of Lucy McAllister immediately. The Law Offices of Lucy S. McAllister have successfully represented a wide range of California licensed professionals and we are experienced in handling all types of licensing accusations and licensing issues as well as criminal cases. Let us help you protect your professional license, your reputation, and your livelihood. For additional information or to schedule a consultation on a professional licensing issue, please contact our law offices today at (877) 280-9944.